Microsoft announced today they’re buying out Skype in the biggest, most expensive technology deal in history. For some strange reason, Microsoft is purchasing Skype for 3 times what it’s worth; $8.5 Billion. Initial reports say Microsoft plans to integrate Skype into MS Mail and Xbox. Here’s the full story over at USA Today. 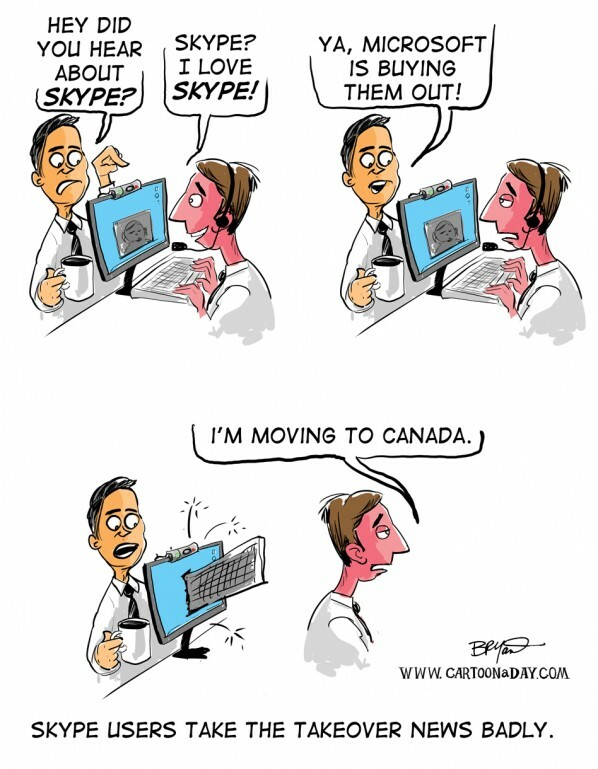 Inspiration: Daily Cartoon featuring the Microsoft takeover of Skype. The Skype users are not pleased.